James Comey, the FBI director, has again said that end-to-end encryption on digital devices makes it impossible for his agency to investigate crimes and acts of terrorism— and called for an “adult conversation” with the manufacturers of these devices. Widespread encryption built into smartphones was “making more and more of the room that we are charged to investigate dark,” Comey said at a cybersecurity symposium. The Hill notes that the FBI sought a court order to force Apple to help it hack into an iPhone used by one of the San Bernardino, California shooters. Apple rejected the FBI’s request, arguing that accepting it would weaken security of company’s products. The FBI withdrew its court filing against Apple after an Israeli tech company shared with the FBI a method developed by the company to circumvent Apple’s 10-attempt limit on password breaking — but the withdrawal of the case left the underpinning legal questions unresolved. 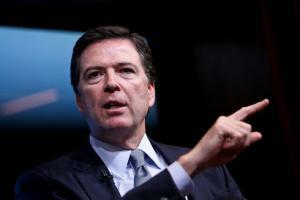 Comey said on Tuesday that he expected dialogue to continue. Comey said that the American people had a reasonable expectation of privacy in private spaces — including houses, cars, and electronic devices. That right, however, was not absolute when law enforcement had probable cause to believe a device such as a laptop or smartphone contained evidence of a crime. “With good reason, the people of the United States — through judges and law enforcement — can invade our private spaces,” Comey said, arguing this “bargain” had been at the center of the country since its inception. He stressed that it was not the role of the FBI or tech companies to tell the American people how to live and govern themselves. “We need to understand in the FBI, how is this exactly affecting our work, and then share that with folks,” Comey said, admitting that the American people might ultimately decide that privacy was more important than “that portion of the room being dark” to the FBI. The Hill notes that remarks echo arguments Comey has made in the last two years, before Congress and in other settings, about the growing collision between electronic privacy and national security. Experts note that the issue has subsided somewhat as federal authorities have found technical measures which allow them to access encrypted digital devices without the help of the maker, and after the White House decided last year not to seek a legislative resolution to the encryption issue.